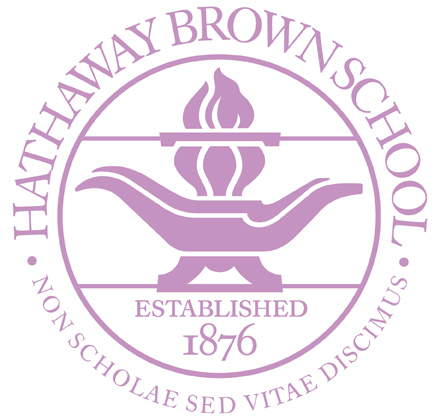 Hathaway Brown is a dynamic and compassionate community dedicated to excellence in the education of girls. For us, educational excellence includes, but reaches well beyond, superb preparation for college. The true mission of the school, as reflected in our motto, "Non Scholae Sed Vitae Discimus," is preparation for life. We strive to foster in the minds of our students an abiding passion for learning and in their hearts a constant devotion to strong character and public service. At this moment in history, there is a great need for women of vision and courage who are empowered for leadership in a multicultural and globalized society. We seek to answer that need by inspiring our students to achieve their utmost potential and to rise boldly to the challenges of our times. While transforming the lives of the girls in our care is our primary calling, Hathaway Brown embraces broader aspirations as well: to help shape a future of unbounded possibility for women; to stand among the country's leading schools in educational innovation; and to be such a force for the common good beyond our campus that we are respected as a civic treasure. Hathaway Brown is a school for girls, and it's so much more. It’s a school for scientists and writers and artists and budding entrepreneurs. It’s a training ground for athletes and dancers and musicians and actresses. It’s a place where young people are empowered to ask questions, challenge conventions and explore opportunities. And everything we do is guided by our motto: Non Scholae Sed Vitae Discimus--We Learn Not for School, But for Life. Since 1876, HB has given students the tools they need to confidently embrace all the possibilities that exist for them beyond our Shaker Heights campus. The faculty’s dedication to hands-on experiential learning at all levels can be observed every day in the classrooms, libraries, science labs, theatres, dance studios, and art rooms, as well as on the athletic fields. In addition to the superior academic preparation they receive, at every turn, HB students are inspired to become the best people they can be. We encourage girls of all ages and boys in our Early Childhood program to take chances, stretch their minds, work together, and pick themselves up and start over when they need to. The results of this philosophical approach speak for themselves. Through the years, we’ve amassed more than our fair share of awards and accolades in every discipline you can imagine. Students continually perform with notable distinction on high-level tests and in the rate at which they’re accepted to their first-choice, top-tier colleges and universities. HB consistently is ranked as the #1 girls’ school in the state by Niche, we’ve been a Plain Dealer Top Workplace in Northeast Ohio for five years running, we’re among the top girls’ schools in the country in number of National Merit Finalists, and we’re the alma mater of 10 U.S. Presidential Scholars, the highest honor bestowed on American high school seniors, and an achievement that is unmatched anywhere in the region. But no matter how well they fare by these measures, all of our students are able to apply what they’ve learned in the classroom to their lives. They know how to test theories, advocate for themselves and others, find beauty in overlooked places, implement creative solutions, and lend a hand where it’s needed. And wherever they go from here, HB graduates bring strong character, unparalleled intelligence, unbridled enthusiasm, and an unquenchable thirst for knowledge along with them.